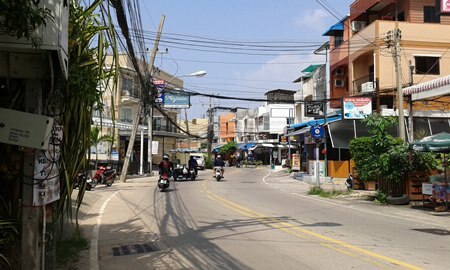 Soi Kophai’s leaning towers of light are standing tall again after Pattaya workers uprighted poles knocked akimbo by flooding. 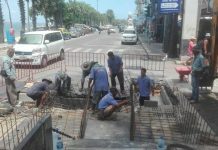 Near-daily complaints by South Pattaya residents finally resulted in action Oct. 19, as workers moved into the area to fix a pole tilting as much as 15 degrees. Workers changed light bulbs and straightened the posts, which also began to lean due to the weight of the many cables strung from them.